This past Sunday, Feb. 5, New York Film Academy conducted a Master Class in Filmmaking at the Historic ARTS Theatre in London’s West End. 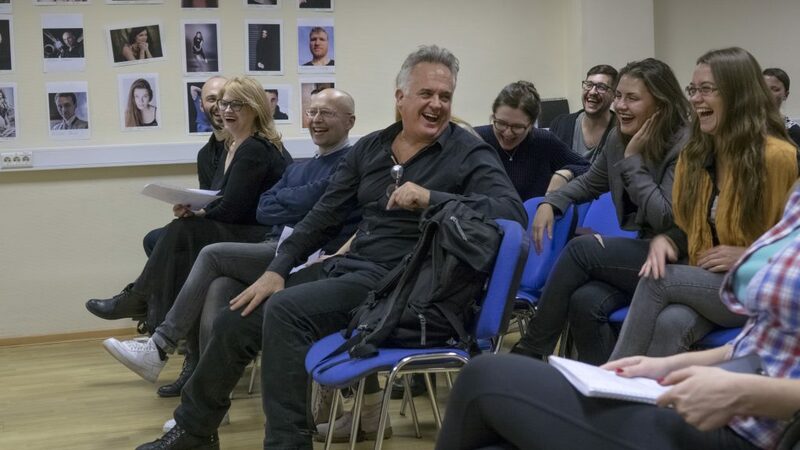 Taught by Jonathan Whittaker, Chair of the Short-term Intensive Programs at NYFA, the event welcomed filmmakers and performing artists not just from the London area, but from all over Europe. With over fifteen years of experience in the film industry—having produced, directed and lensed short films, music videos, live concerts, commercials, TV shows, features, docs, virtual reality experiences and 3D specials—Whittaker’s “Directing the Scene” Master Class enlightened attendees on how to properly break down a scene and take it from the page to the screen. Through a lecture that included film clips and anecdotes from films such as Martin Scorsese’s iconic boxing masterpiece “Raging Bull,” and Steven Speilberg’s classic hit “Jaws,” the two-hour Master class highlighted how the filmmaker identifies the purpose of the scene and fits it into the larger whole, designates point of view and designs shots that communicate POV to the audience. Additionally, the lecture explained how the director determines the visual elements that comprise the metaphor, as well as how he or she uses pacing to create tension in the film. “Not only was there a great turnout, the participant engagement and thoughtful feedback made this a successful workshop,” said Whittaker. The Master Class was very well received by aspiring artists and perspective students. We hope to see some of the individuals again at one of our many locations around the world. The long awaited event has happened. 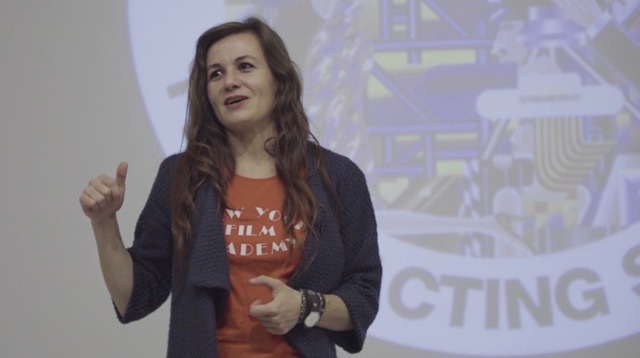 New York Film Academy returned to Russia with two special workshops. With excitement in the air, eager students were fully immersed in producing and screenwriting workshops throughout the weekend. With a strong emphasis on hands-on learning and practical exercises, the workshops allowed students to immediately apply the knowledge they gained throughout the weekend. 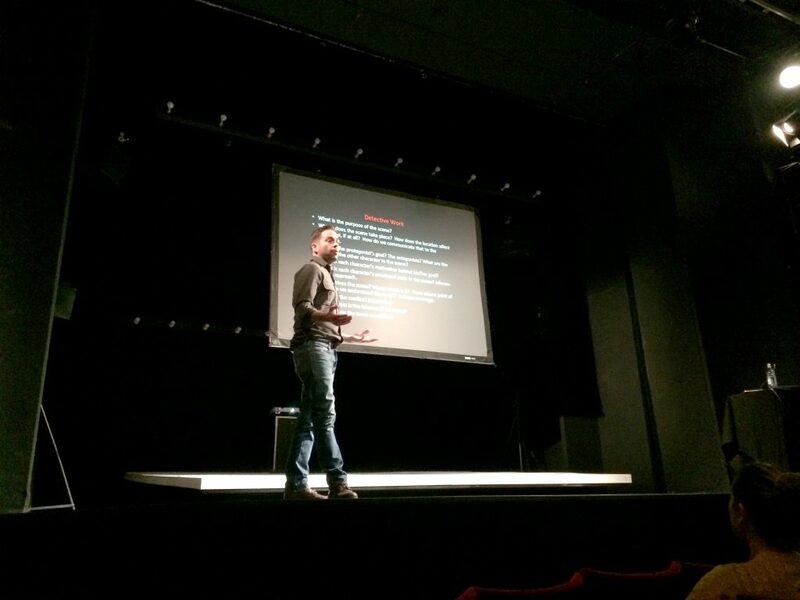 NYFA screenwriting instructor, Paul Brown, an award-winning writer, director and producer, conducted the screenwriting workshop. Brown has worked in film and television for over twenty-five years. He has produced over one hundred television dramas, pilots, and movies, working on such series as “The X-Files,” “Quantum Leap,” “The New Twilight Zone,” “Star Trek: Voyager and Star Trek: Enterprise.” He won the Edgar Award from the Mystery Writers of America for Best TV Drama, and has been nominated for three Emmy Awards and three Golden Globes. During the Workshop Orientation, students delved into the secrets of great stories and paired up to work on monologues. Day One: Brown explained how to hook audiences with exciting movie concepts by showing scenes from popular films. He stressed the importance to wake up certain emotions in the audience. Students learned to develop characters with use of curiosity, compassion, charm and complexity. They examined the structure of the inner story and the inner story’s need, movie climaxes and examples of key scenes. Day Two: Brown explained how to combine internal and external relationships of the characters, thematic storylines, dialogue and the importance of subtext. The workshop culminated in the final presentation of the projects. Professional actors were invited to participate in the students’ short screenplays. Throughout the presentations of scenes, with no scenes longer than three minutes, the audience laughed, cried and cheered. Student Feedback: “We had a chance to try ourselves not only as writers, but as directors and were able to work with professional actors. It was a very interesting experience. 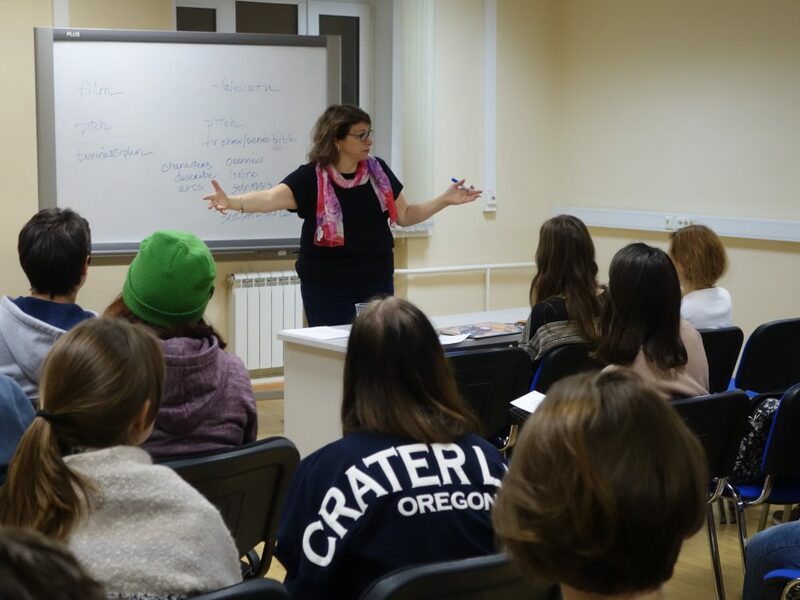 The classes were so valuable, not only in terms of receiving new information and practical skills, but also from a psychological point of view. Paul Brown made us thoroughly delve into ourselves and face our ‘skeletons in the closet’. It helped to release our fears and reconsider many things. I thank him for it!” said Wagina Yevgeniya. Lydia Cedrone, NYFA Head of MFA Feature Productions and former longtime Chair of Producing, taught the Producing Workshop. Cedrone is a film producer with credits including the MGM release, “The Betrayed,” and was an executive at The Walt Disney Company, Trimark Pictures and Savoy Pictures. She managed finances on more than two-dozen studio films, and oversaw company operations for filmmaker Michael Mann’s production company and finances for the film “Ali,” starring Will Smith, Jon Voight and Jamie Foxx. She urged producers to maintain a balance between finance and creativity. From her lecture, students learned that the producer is the driving force behind the project who manages all stages of the project’s lifespan, from developing the script to determining the necessary budget and securing investors, and from hiring the film’s cast and crew to guiding the project through distribution. Many of the students in the Producing Workshop were working producers or had a background in the local film and television industries. These students participated to deepen their knowledge and to apply that knowledge to the U.S. standards and practices outlined in the workshop. At the Workshop Orientation, students began to develop the concepts for their own projects. Day One: On the first day, students learned about the roles of producers in film and television, producer hierarchy and project workflow. Private investors and funding independent films were discussed at length. Cedrone stressed a balance between financial transparency and the producer retaining full control of the project. She also covered, in detail, the main points of a independent film business plan for fundraising, as well as how to create a television series show bible, along with many other topics. Day Two: Students learned the U.S. standard rules and practices of scheduling and budgeting. Cedrone led several interactive class exercises, along with a lively Q&A session. On the final evening, students presented their project loglines, along with a short project pitch, during this Mini Pitch Fest. Students clapped and cheered their classmates during the Pitch Fest, and the workshop ended with many friendships forged, along with the promise of many future collaborations. “I am an actress, and NYFA gave me the opportunity to expand my vision of the film industry. I know how the industry works through the eyes of the artist, and these workshops showed me the production process from a different angle. I learned a lot of useful and interesting information in a short time! I am happy that I met Lydia Cedrone, she’s wonderful!” said Valeria Koltsova, one of the Producing Workshop students. We thank the student participants in Moscow who made these recent Producing and Screenwriting Workshops such a great success! The New York Film Academy’s Africa tour, which included NYFA instructors and staff, was an exciting opportunity to further bridge our hands-on intensive pedagogy in the visual and performing arts with the film traditions and cultures of Ghana, Kenya, South Africa and Nigeria. Throughout the four-week tour, we met more than 1,000 African students. 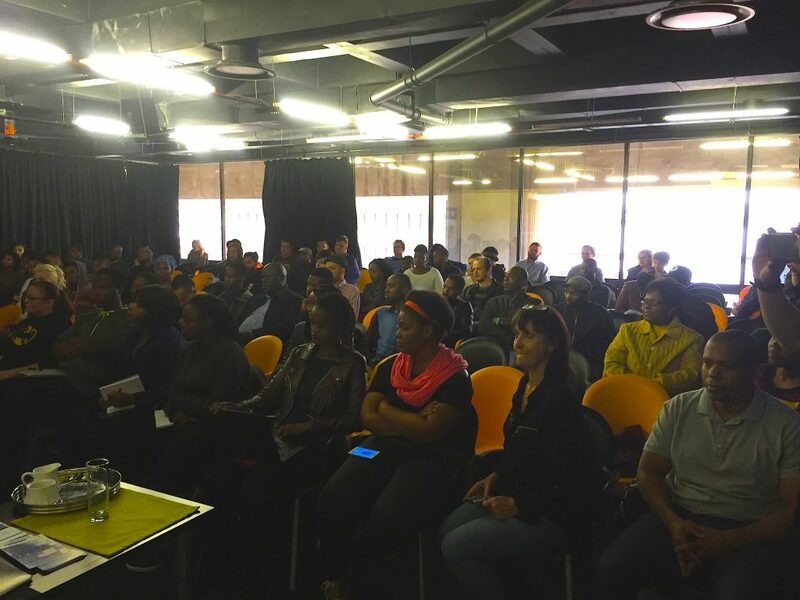 NYFA took a number of factors into consideration in deciding to bring NYFA Master Class Workshops – which also included information sessions, auditions, and portfolio reviews – to Johannesburg and Cape Town, South Africa; Nairobi, Kenya; Lagos; Abuja, Nigeria; and Accra, Ghana. We researched the potential “new frontiers” of international higher education recruitment, including reviewing the Open Doors Report that is published annually by the Institute of International Education (IIE). And, because NYFA is one of the world’s oldest private international visual and performing arts schools, we have 25 years of enrollment data, along with requests for information, which we mined. Interest among the four selected countries has been exceptionally high and NYFA wants to help support the talent and creativity of these interested young actors and filmmakers. 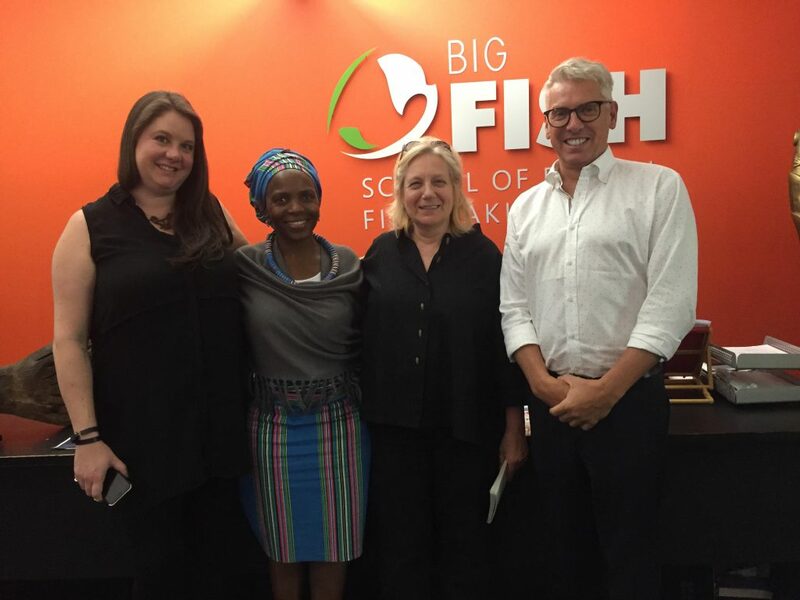 In Johannesburg, NYFA’s Chair of Short-term Programs, Professor Jonathan Whittaker, conducted a 6-hour Master Class titled, “The Anatomy of a Scene.” This workshop was free and open to the filmmaking community, and was hosted by The United States Consulate General, EducationUSA, and NYFA’s local partner, Big Fish School of Digital Filmmaking. We expect that these private-public international partnerships in each country will last far beyond this trip, and that it is the beginning of fruitful collaborations that will benefit many gifted African visual and performing artists. 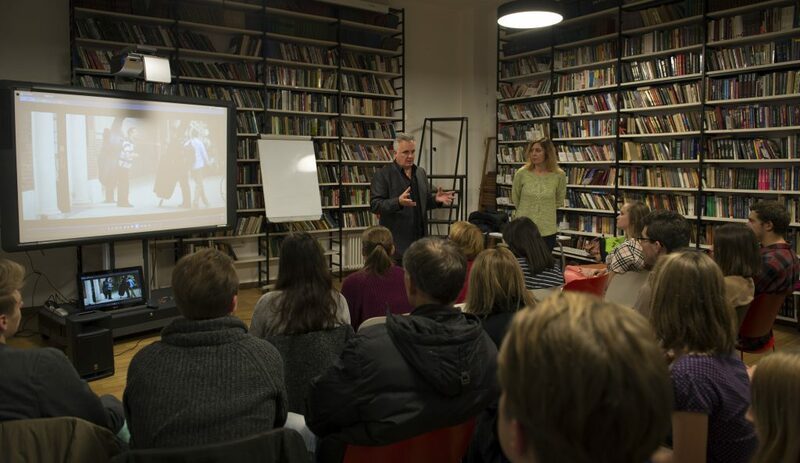 Recently, the New York Film Academy held an Open House in the heart of Moscow. Close to one hundred people attended the event to learn more about NYFA programs. Prospective students had an opportunity to meet NYFA admissions representatives and alumni, who have achieved a lot of success in the professional field, including executive producer of TV channel “Success” Guram Gabunia, independent filmmaker Costa Fam, producer Andrei Kim, director Anna Lobanova, and documentary filmmaker/TV-host Leyla Agirbova. At the beginning of the event, admissions representatives, Olga Mescheryakova and Elena Kulikova, spoke about the variety of programs NYFA has to offer in the United States, Australia and Europe, answered questions about upcoming Moscow Workshops, and went over details of admissions requirements. We are very happy that a number of former NYFA Moscow students came to speak and share their stories with the audience. This mini reunion did indeed become the best part of the evening. Loads of warm memories were brought up, which filled the room with inspiring vibes. Director Anna Lobanova, who finished a 4-Week Screenwriting NYFA Program in Moscow, said that it gave her a better understanding of a screenwriters’ work and she now uses that understanding to develop a better director/screenwriter relationship. At the moment, Anna Lobanova is, as a director, finishing a new series for the main Russian TV-channel and co-writing a feature script with former NYFA classmate, Ekaterina Mazo. Currently, Leyla Agirbova not only continues to successfully develop her career in film and television, but also plans to launch her own business project using her pitching skills to attract investors. There was a very relaxed and friendly atmosphere during the evening. 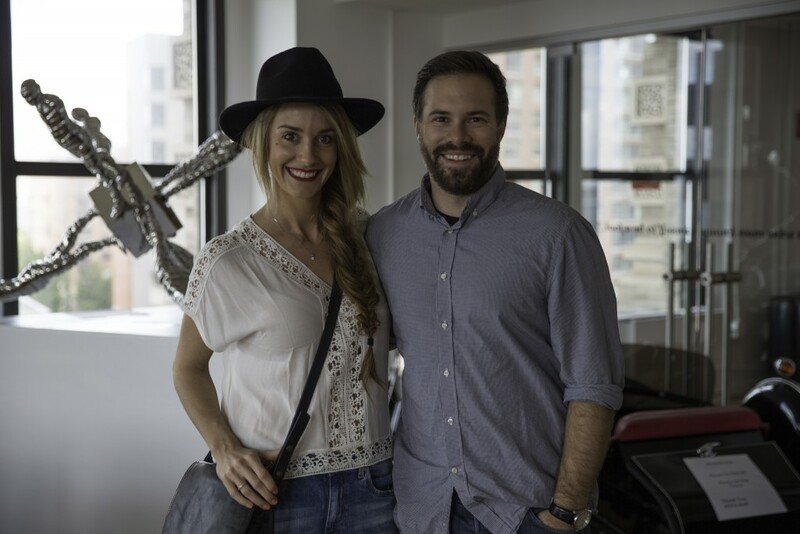 Our grads were able to spread around their positivity, passion for the profession and love for NYFA. 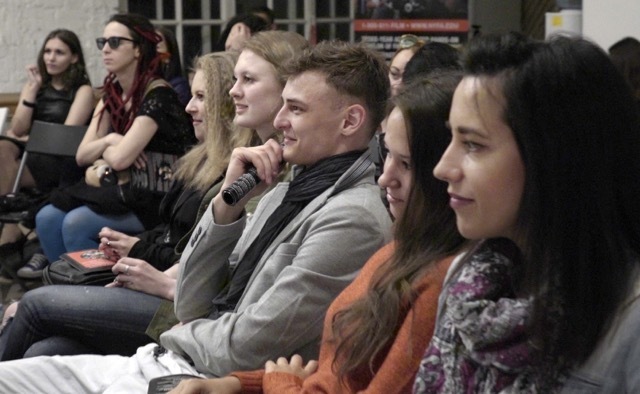 One of the open house guests, an actor, Aleksey Bogdanov, said that it was very inspiring to hear stories of former students and learn about the changes that have occurred in their careers. A pleasant surprise for all was the Skype chat with New York Film Academy Los Angeles instructors, Lydia Cedrone and Paul Brown, who will visit Moscow at the end of October with intensive weekend Screenwriting and Producing Workshops. Also, the Director of the Academy, Dan Mackler, joined the conversation and spoke with the audience in fluent Russian, which was met with a storm of applause! “It was nice to meet instructors and Director of the Academy via Skype, to see their faces. It gave me even more motivation and hope for the future,” said Alla Volodkina, who recently got enrolled into an 8-Week Screenwriting Program in NYFA Los Angeles. We would like to thank everyone who came to the Open House. New York Film Academy is very proud of all our graduates and look forward meeting new students. See you soon! Moscow Weekend Workshop dates are Saturday, October 22 and Sunday, October 23, with an Orientation on Friday evening, October 21. You can apply here. The New York Film Academy College of Visual & Performing Arts (NYFA) is truly an international educational institution. In fact, with campuses in four countries, and programs in many more, NYFA is said to be the largest— truly global—film school in the world. Many NYFA activities overseas involve providing free workshops and Master classes in locations not readily known or understood by the average American. NYFA staff and faculty venture to far-away nations to support promising visual and performing artists in places where aspects of filmmaking education are lacking, but that has wonderful young creative talent that the College feels compelled to nurture. 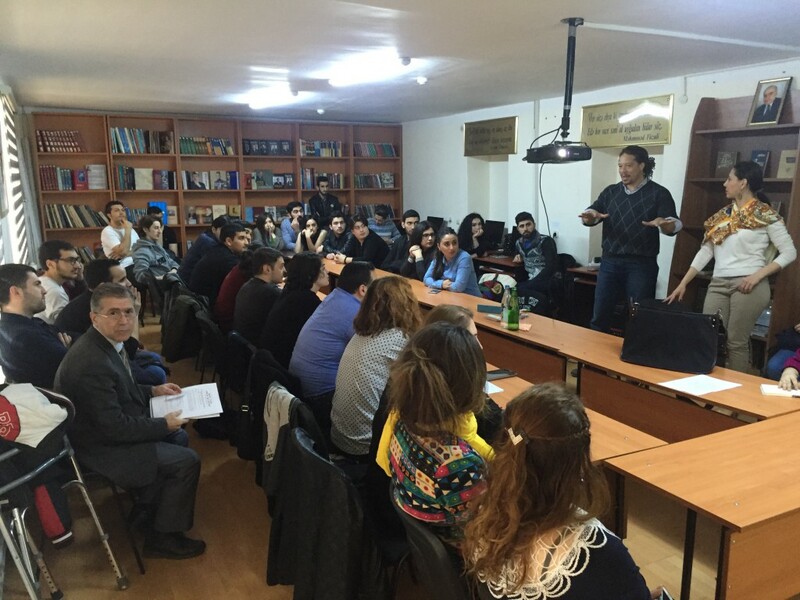 Azerbaijan is just one example of where NYFA is making an impact. Earlier this month in the lovely capital city of Azerbaijan, where the Caspian Sea glitters in the early spring warmth, Lanre Olabisi, film producer and a faculty member in the Screenwriting & Directing Department at NYFA’s New York City campus, conducted an intensive Masters class in filmmaking and screenwriting. 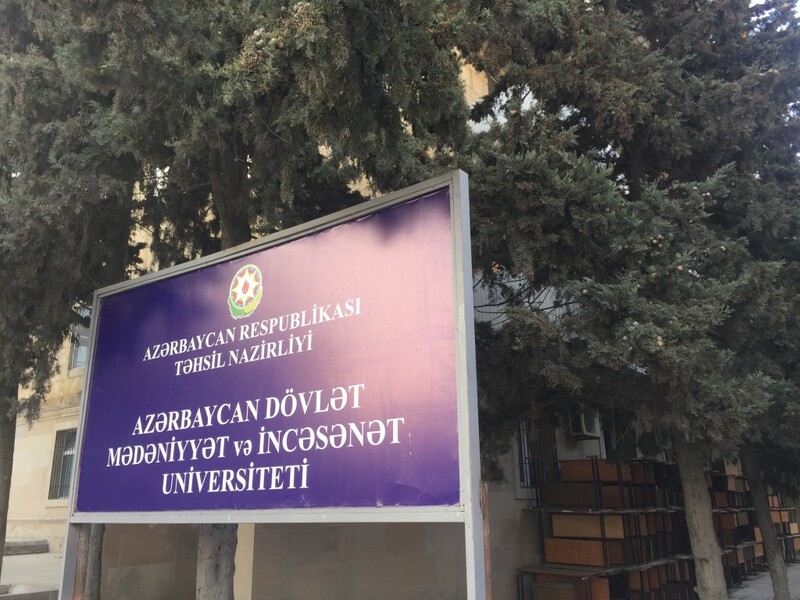 The Azerbaijan State University of Culture and Arts (ASUCS) hosted the event, which was conceived by the university’s rector, Dr. Farah Aliyeva, during a 2015 visit to the university. More than 45 students intently took in the lessons provided by Professor Olabisi on how to develop good story ideas and then transform them into a winning screenplay. A commentary about the event on the ASUCS website declared how important the NYFA Master class was for the filmmaking and media students at the University—not only for the pedagogical value—but also because the course provided the participants an interaction with a different cultural and professional perspective than they have likely ever experienced. The write-up states that bringing in “foreign experts” like Professor Olabisi to train students offers an international “thread” that provides the opportunity to have a new, different, and personal understanding of the world outside of Azerbaijan. Azerbaijan has a long history in the cinema and is now looking to make a 21st reawakening in the media and entertainment arts industry as the country’s economic and political profile commands attention on the world’s stage. NYFA has been proud to host more than a dozen students from Azerbaijan at the School’s New York City and Los Angeles campuses, and we hope to welcome many more especially as our graduate degree programs expands. Meanwhile, we hope that bringing a small piece of the NYFA curriculum to the heart of Azerbaijan gives visual and performing art students the ‘creative bug’ to continue to pursue their passions. 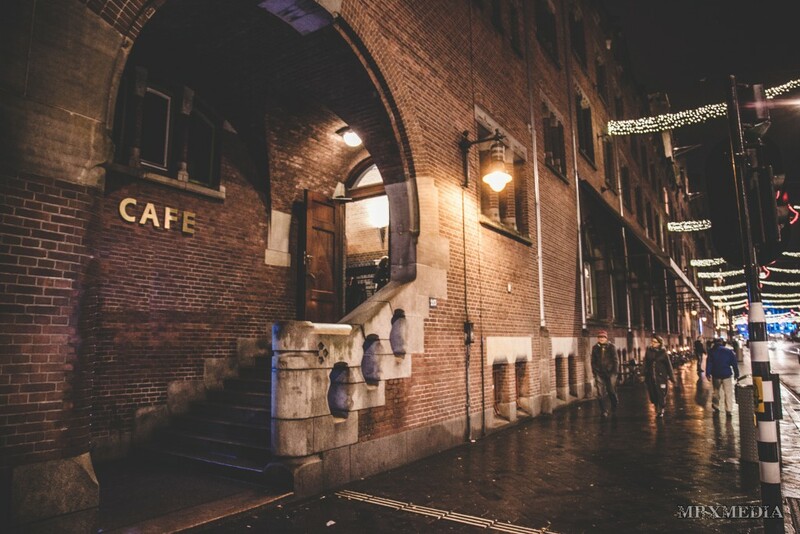 Bringing an authentic combination of both the past and present features of New York City, the New York Film Academy Café in Amsterdam allows you to immerse yourself into a lively atmosphere that serves breakfast, lunch, dinner and drinks. The cosmopolitan hangout offers a place for everyone, from business to leisure and local to tourists. So, if you’re looking for that New York feel in Amsterdam, you’ll definitely want to check out the New York Film Academy Café, which is open every day from dusk until dawn. The Beurs van Berlage is a Dutch national monument, located at the Damrak and Beursplein, the tourist gateway to Amsterdam. The Beurs van Berlage is among the Top 100 of Dutch UNESCO monuments. 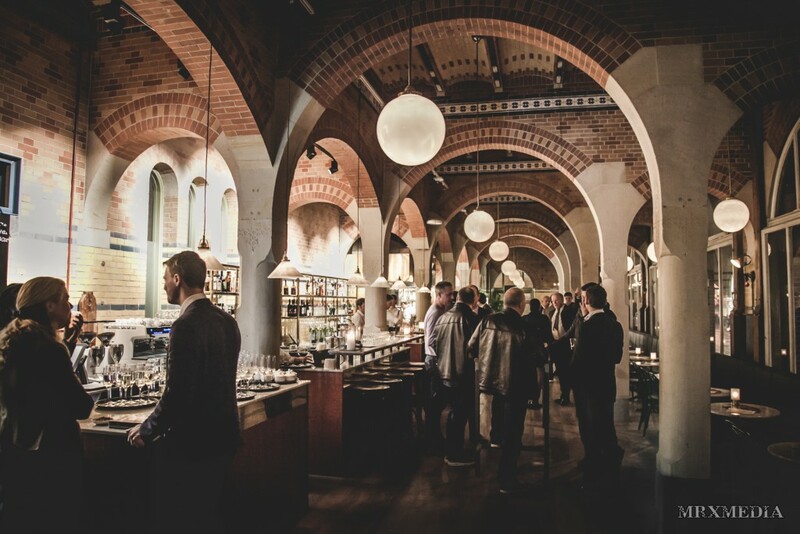 The architecture of the Beurs van Berlage, designed by Hendrik Petrus Berlage, has a story of its own. 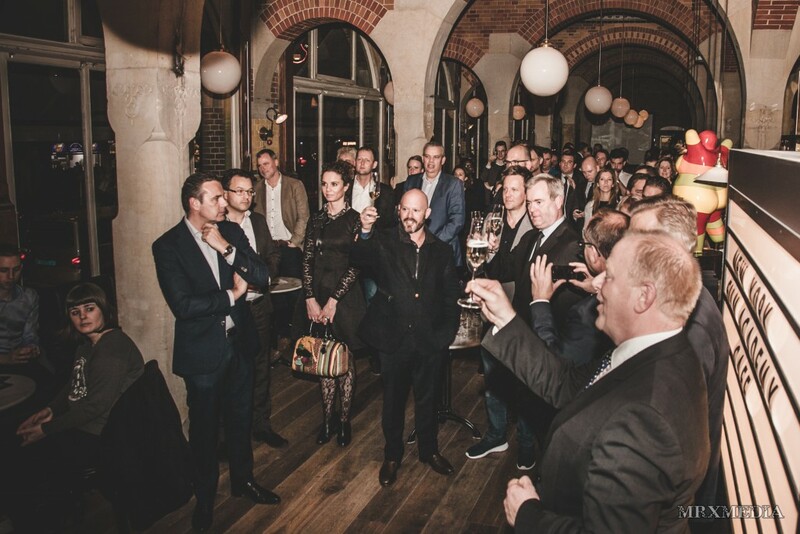 On December 16th, 2015, the NYFA Café held a launch party with Mr. Klein, which wound up being a wonderfully successful night, introducing the neighborhood to the new destination. For more information or a look at the menu, please visit the official website at www.nyfa-cafe.nl. Coming off the success of the popular South African television series, 7de Laan, and the feature film Klein Karoo, New York Film Academy 8-Week Acting for Film graduate Donnalee Roberts has greatly expanded her role in the South African entertainment business. Not only does the hard-working South African enjoy the artistic gratification of acting for the camera, she also loves running a business and exploring the integrated marketing and networking that goes on behind the scenes of her films. Her critically and commercially successful romantic adventure, Pad na jou Hart (Road to your Heart), in which Roberts played the lead actress and was co-producer and co-writer along with Ivan Botha, has been seen by over one million people thus far! Her more recent award-winning film, Ballade vir ‘n Enkeling (Ballad for a Stranger), which stars Roberts as Carina, had its premiere in Australia and New Zealand and had a nationwide release in South Africa. Ballade vir ‘n Enkeling is a romantic thriller based on the popular South African television series from the eighties. Not only did the series have South Africans nailed to their televisions, the film was highly acclaimed and was both a critic and box office hit, earning Tempo awards for South African Film of the Year. Donnalee also won Best Actress of the Year for both Pad na jou Hart and Ballade vir ‘n Enkeling. Roberts’ goal is to continue to provide original content to her native country, which has recently seen a resurgence in its film industry. As an independent filmmaker one knows the importance of marketing your film correctly in order to reach its full potential. That is why Roberts and her team started a marketing division within their production company which specializes in making marketing personal and creating a need for people to want to see their film. Her upcoming film, Vir Altyd (Forever), which Roberts stars and also co-wrote and co-produced with Ivan Botha, was shot half in South Africa and half in Mauritius. Vir Altyd is a romantic adventure film that takes us on a journey through the seasons of love and the true meaning of what ‘forever’ means. Roberts and her team are currently busy with post-production and the feature film releases nationwide on February 12th, 2016. She strongly encourages actors to involve themselves more with writing and producing their own material. Donnalee Roberts will be joining Blake Babbitt at the New York Film Academy’s audition and portfolio review event at the Davinci Hotel and Suites on Nelson Mandela Square in Johannesburg on September 5th at 18:00. The Film Academy will also be holding auditions and portfolio reviews in Cape Town on Tuesday, September 8th. For more information on either of these events, please email southafrica@nyfa.edu or CLICK HERE to sign up. The New York Film Academy has officially announced the opening of a brand new campus located in King’s Landing on the continent of Westeros. 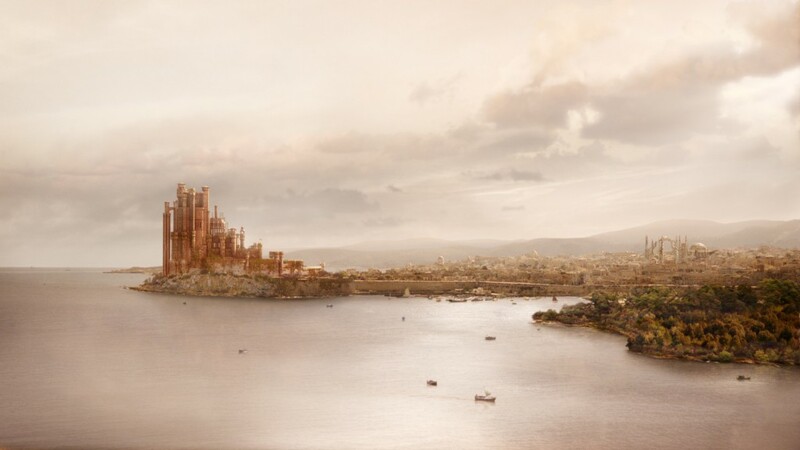 King’s Landing, the capital of the Seven Kingdoms located on the east coast of Westeros, contains a diverse population of almost 500,000 people. While the land has fallen victim to attacks over the years—most notably when Lord Tywin betrayed King Aerys II Targaryen and ordered his army to brutally sack the city before turning it over to Robert Baratheon—the people in the region are enthusiastic to learn the arts. Call it their renaissance. 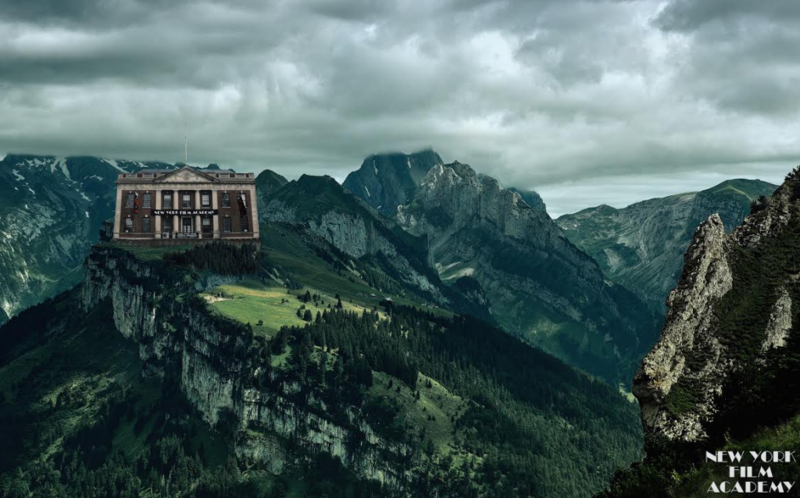 Similar to the Academy’s other locations, the King’s Landing location, situated on Kingsroad, will offer knights, giants, Lords, and even Whitewalkers the opportunity to learn both visual and performing arts in a hands-on intensive environment. While dragons will not be permitted entry, the school will provide its students with a full RED Epic Dragon camera package, considered one of the most revolutionary cameras in the digital cinema spectrum. NYFA frequently invites guest speakers from the entertainment industry like Steven Spielberg, Ron Howard, and Al Pacino to speak to students on campus. The goal is to continue this model and invite local industry leaders like George R.R. Martin, David Benioff, and D.B. Weiss to speak at the new King’s Landing location. With many of our students coming from all parts of the country and locations around the world, it’s likely that travel will be in the forecast this upcoming Thanksgiving and holiday season. The Wednesday before Thanksgiving has given travelers a number of nightmare tales, whether it be on a plane, train or stuck in traffic on an automobile, it’s never a fun time. Hollywood has even made movies about the dreaded commute. 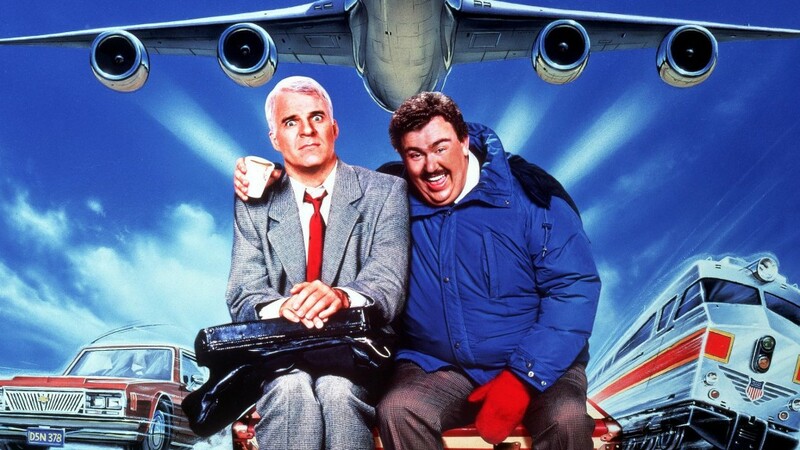 Take John Hughes’ classic film Planes, Trains & Automobiles, starring John Candy and Steve Martin. If you haven’t seen the film, you might want to download it and give it a watch during your travels. In the film, Steve Martin is simply trying to return home to his family on Thanksgiving. Once he encounters the likes of John Candy aboard his flight home, the ordinary commute escalates into the journey from Hell. Since this classic film, Hollywood has had similar incarnations of the “nightmare travel” formula. Here are some examples of films that followed. A perfect pairing of two contrasting SNL alums, Chris Farley and David Spade go on a road trip to try and save their business from being bought by Zalinksi (Dan Aykroyd). The popular MTV show that captured two dim-witted American teens from the 90’s, put the duo on a trip to find their stolen TV. Combining acclaimed actor Robert Downey Jr. with the zany comedic talents of Zach Galifianakis could only lead to one thing: disaster. Do you have a nightmare travel story that tops these? Share your stories and photos with us in the comments below or on twitter, instagram and facebook with #travelnightmares. 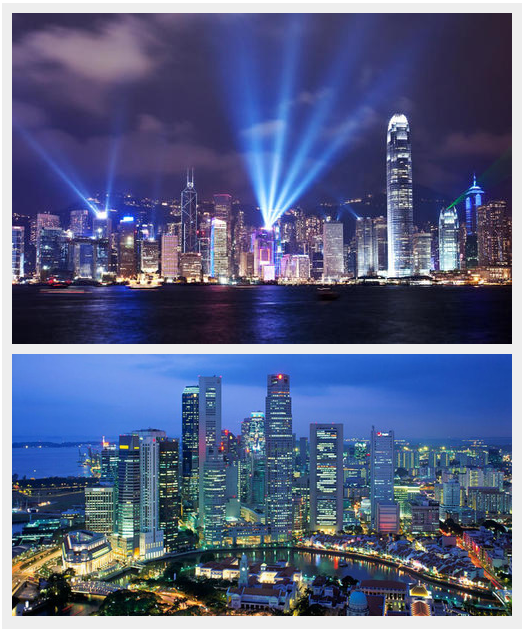 The New York Film Academy will be in Hong Kong and Singapore this August 2014! If you’re interested in pursuing a career in the arts and would like to study in one of our hands-on certificate or degree programs, you do not want to miss this! August 9th, 2014 at Hong Kong Mandarin Oriental from 12pm-9pm. New York Film Academy is accredited by the National Association of Schools of Art and Design (NASAD) and provides students with a variety of options to access a performing and visual arts education. With locations all around the world, NYFA is well known for its diverse student body. Many luminaries in the entertainment industry have sent family members to study at the institution including Steven Spielberg, Martin Scorsese, Al Pacino, Robert Downey Jr., Jamie Foxx, Jodie Foster, Kevin Kline, Pierce Brosnan, Susan Sarandon and Tim Robbins, Bono (U2), directors Stephen Frears, Peter Bogdonavich, Roger Donaldson, and James L. Brooks, among others. If you’re interested in attending to find out more about the New York Film Academy and its hands-on courses and degree programs, email Tami Alexander at tami@nyfa.edu.